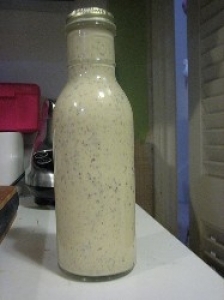 Have you made Ceaser Salad Dressing? 1. 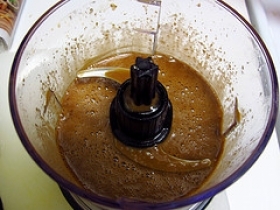 Combine all in food processor, then slowing add 1 c.
2. oil while processing. 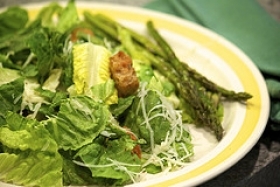 Tear up romaine lettuce in large bowl. 3. 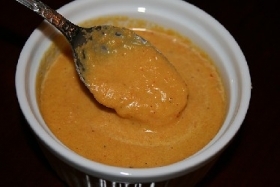 Pour on enough dressing to coat well and toss. 4. Sprinkle on Parmesan cheese and toss. 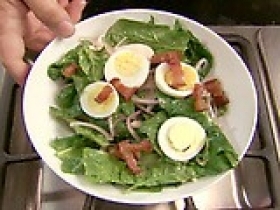 Add bacon bit and croutons, toss with salad. 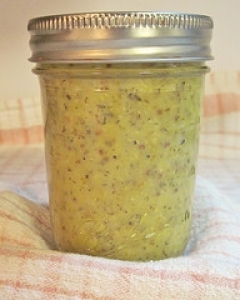 This recipe contains potential food allergens and will effect people with Lemon, Egg, Sulfites, Malt, Garlic, Fructose Malabsorption, Mustard, Vinegar, Olive Oil allergies.